Don’t you love the cool wind brushing your face while the warm sunshine over your head and you sail through the calm blues in your private boat? Well, it is indeed, one of the most beautiful experiences one can have. But this enjoyable ride can soon turn into a nightmare if the boat meets an accident. That is why you must have boat insurance if you own this kind of a vehicle. Otherwise, you are putting yourself, your family, as well as your assets at risk. We, at Knight Insurance, can be a one-stop shop for all major kinds of insurances, right from home, business, to auto which includes boat insurance. We are an experienced and highly reputed independent insurance company. This means that we can not just provide you with quality coverage for your boat but also help you choose from multiple carriers. So, if you are from areas like Coconut Creek, Coral Springs, Fort Lauderdale, Hollywood FL, Miramar, or Pembroke Pines, you should resort to us without any hesitation. Here, we have a few ways in which the boat insurance can help. Take a look. First of all, if your family members face an injury from any uninsured boater, then the medical bills for your injuries can be covered by the boat insurance. So, instead of spending your own money on someone else’s faults, you should get boat insurance coverage. Next, your boat or its equipment can get damaged after meeting with an accident. You don’t have to make a huge loss by paying for these expensive repairs from your own pockets if you have the insurance coverage for your boats. So, what are you waiting for? 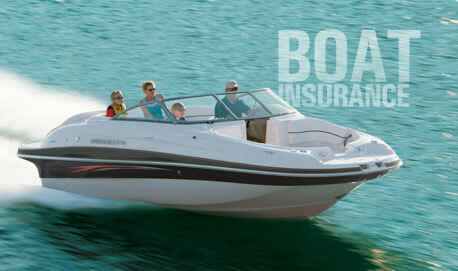 If you are interested in availing our boat insurance policies, quickly contact us today.